A newly-installed fare kiosk, right, stands next to the old cash-only token vending machines at Cecil B. Moore station. 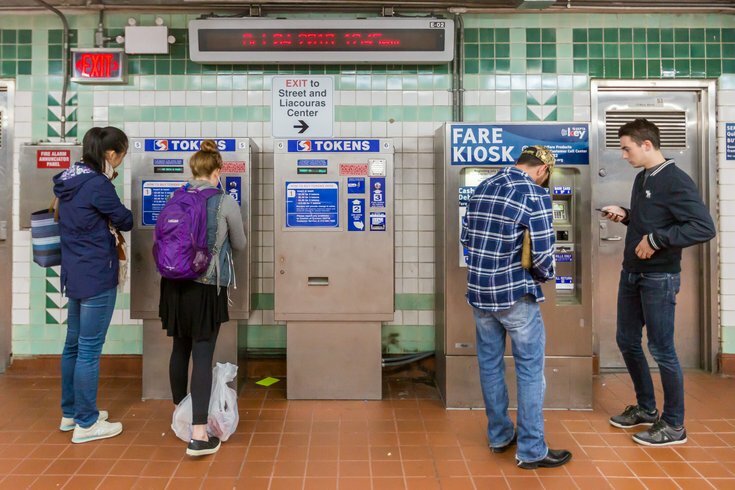 The new machine will be used with SEPTA's new Key card payment system. SEPTA announced Friday the launch of a new SEPTA Key website, a public beta release aimed at improving the rough state of the service’s current website. The transportation authority called the new site “more intuitive” in a release Friday. At first glance, this seems to be a fair assessment. The beta site is fully functional; check it out here. The new site’s homepage has big, user-friendly one-click buttons for both registering a new Key and finding a Key, including a map for finding a Key around the city instead of the current site’s list of locations. When users login to their accounts, they’re immediately shown their current Travel Wallet balances instead of needing an extra click. The beta site is also simply better looking. Where the current SEPTA Key site felt like a series of interfaces designed for the early 2000s internet, the beta site has more readable fonts and clearer layouts. Interacting with your Key on a mobile device, though, is where the beta site’s changes are most pronounced. The beta site features a responsive design, something the current design lacked. Even on a relatively small screen like an iPhone 8, the first load screen of the new beta site gives users the ability to login, register a card, and find a card without having to scroll or pinch to zoom. Everything is substantially more immediate, which is a welcome change. The current SEPTA Key site will still be usable while the beta site is tested by the public, SEPTA said. The service will transition to the new site at a later date. Earlier this year, SEPTA introduced two new map concepts, which the transit authority billed as its “new way to look at transit”. The maps re-organized SEPTA’s crowded bus map, among other things. SEPTA is asking for riders who give the beta site a try to submit feedback through an online comment form at this link.